Hwa Rang Do is unique under many points of view and it is based on ancient traditions and strong foundation. The Black Sash ceremony (inside the black sash celebration) will be held on Saturday july 6th , and represents one of the most important aspects of Hwa Rang Do etiquette, full of meaning and spirit. During the ceremony all the Black Sashes share their brotherhood and confirm their rank while receiving the next one. All our students together with family and friends will celebrate the results achieved and the conclusion of this fantastic event! IMPORTANT!!! To purchase Black Sash Ceremony and dinner Ticket you have to perform the registration process and sign-in HERE! 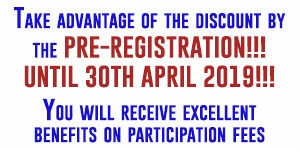 Take advantage of the discount for the Blacks Sash Ceremony by the PRE-REGISTRATION UNTIL 30TH APRIL 2019!! !